The Automatic Plate Measuring (APM) machine is a National Astronomy Facility run by the Institute of Astronomy in Cambridge. The facility typically processes a data stream of well over 10 Gbytes per day from which the parameters of some 1 million images are extracted. The main source of photographic material is the UKST, with secondary sources roughly equally divided between Palomar Schmidt and Curtis Schmidt. Photographic plates from 4m class telescopes such as those at the AAT, KPNO, CFHT and CTIO observatories are also regularly measured. In an average year the facility is available for scanning roughly 90% of the time and typically over 1000 plates are measured. The remaining time is divided between maintainence, repair and development work. A large part of the service provided by the facility consists of off-line data processing and analysis to produce Astronomical results in a form readily digestable by the average Astronomer. 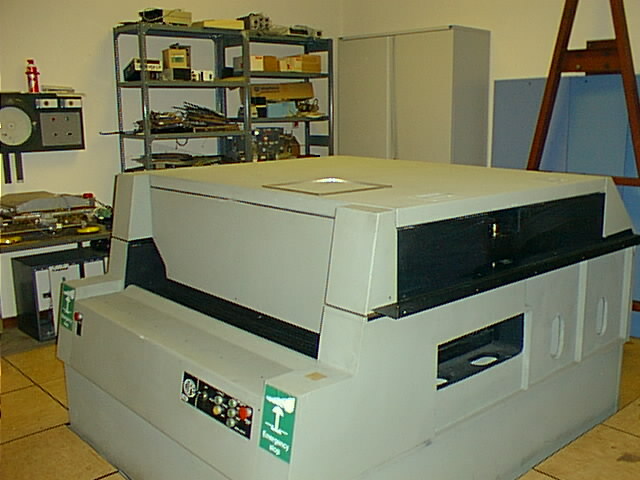 The scanner output has always been routinely archived onto magnetic tapes -> Exabytes -> DATs. Consequently we now have a library of measurements of several thousand plates which are available for further use. The kernel of the APM system is a fast laser microdensitometer with a dedicated hardware-based front end for essential routine signal preprocessing. 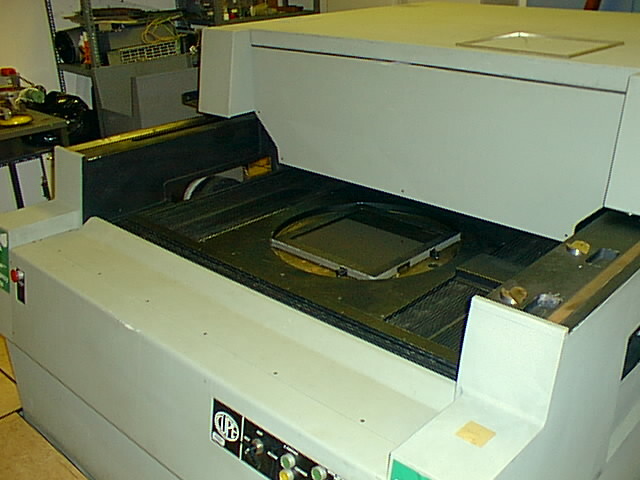 Control of the hardware and communication with the CUPE microdensitometer is done via a purpose built PC EISA card, while data aquisition uses a commercially available Spectral Instruments PCI card capable of sustained transfer rates of up to 16 Mbyte/s - although the ADC and signal processing hardware limit average data capture to a more modest 1 Mbyte/s. 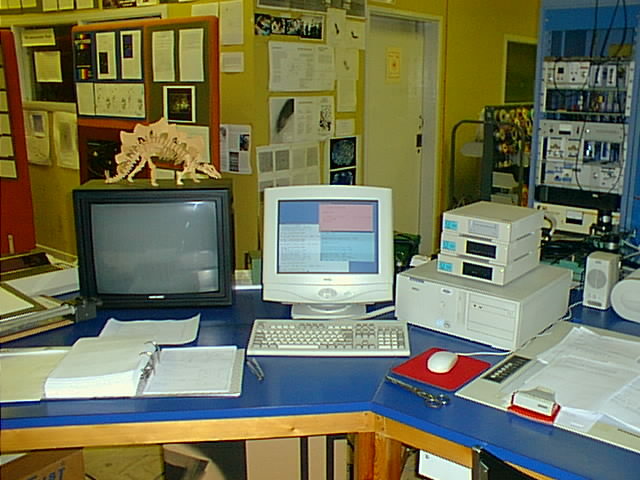 A standard 200 Mhz Pentium-pro PC running linux is used to both control the microdensitometer and perform all the on-line data analysis. The signal conditioning hardware, programmable via the PC interface performs 16-bit analogue to digital conversion, look-up-table (LUT) transformations from transmission to density (or intensity) and digitally smears the spot if required. In addition it can also be used to compress the pixel size, with output sample interval equal to N x N (up to 5) of the original scanner samples. The user interface is based on a simple Command Line Interface (CLI) program written in C, as is most of the software used for controlling and analysing the data from the scanner. The PC controls the complete scanning system, forms the control interface for the user, and also carries out the image analysis. The high scanning speed is achieved by sweeping the laser beam across the plate in strips 2mm wide using an acousto-optic deflector. A massive x-y table is used to move the plate relative to the beam and a scan is built up by moving the table in the y direction with the x coordinate fixed. Subsequently the table is moved 2mm in x and another y strip is measured. Each scan line within the 2mm strip is digitised into 256 samples at spacing. The travel on each axis is 355mm which means that a complete Schmidt plate can be measured at one sitting. The platten, upon which the assorted plate holders plus plates sit, is rotatable by . This enables us to accurately align the celestial coordinate system inherent on the plate with the table x-y system. During scanning an array of 9 Gbyte disks is used for intermediate storage of pixel data. When a plate has been scanned and stored to disk, background-following plus image detection and parameterisation is carried out. The processing can be done in parallel whilst the next plate is being measured. Repeatibility measurements on isolated stars (including a random walk between each measurement) indicate the rms table positional accuracy to be better than on each axis. However, for more realistic tests involving measuring the whole plate, taking it off, and then measuring it again sometime later, the rms repeatibility is for both axes. The x-y table has absolute systematic errors of up to 3 microns on both axes with a scale length of cm. This is a fixed systematic error inherent in the design of the x-y table. It does not affect relative positional accuracy such as proper motions or parallax measurement made with respect to background galaxies since: either the plates are scanned in the same relative position and the errors cancel out, or there are usually sufficient background galaxies to adequately map out the effect. Re-imaging optics below the plate focus the transmitted laser light onto a slit and through to the measuring photomultiplier, the output of which is digitised at 16 bits and converted via a programmable 16 bit look-up table (LUT) into optical density. The beam profile has a Gaussian core diameter surrounded by a low intensity (-80 db) halo of scale size 1mm. By using a ``flying spot'' sampling rates of 200 KHz are readily attained. However, because of the halo associated with the flying spot the usable optical density range is between 0 - 3.5 D. A servo system is used to maintain a constant laser beam intensity and the photometric stability of the whole measuring process is . The scanning and processing time for a complete UK or Palomar Schmidt plate at 1/2 arcsec resolution is just over 4 hours.